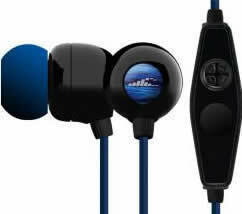 Waterproof Headphones Surge Contact H2O Audio. 100% Waterproof H2O Audio's waterproof technology allows the waterproof headphones to withstand heavy perspiration and submersion to 12ft/3.6m underwater. Stay connected in any environment with our innovative in-line waterproof microphone and convenient one-touch answer/end button perfect for your iPhone in any situation wet or dry. 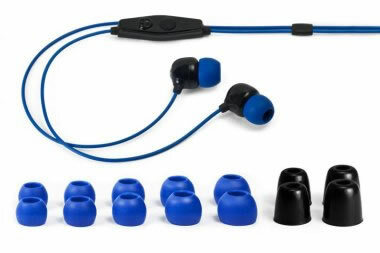 Includes 5 sets of Elastomer earplugs (XS-XL) and 2 sets of Foam earplugs (S/M and M/L) to ensure a secure and comfortable fit while swimming, running, and working out. 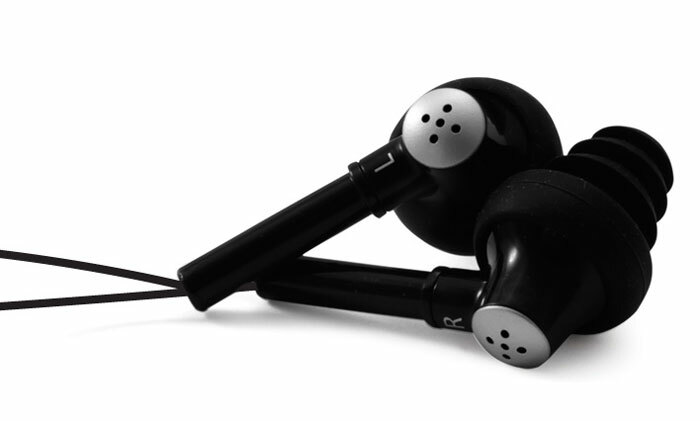 Powerful neodymium drivers provide warm sound and dynamic bass response. Exceptional clarity & bass. Frequency Response 18-20,000Hz Impedance 16Ω. Max Input Power 10mw. Surge Contact Waterproof Headset is designed and rigorously tested to deliver fit, function, and durability for long-lasting performance. Works with many newer mobile phones and mp3 devices like the iPhone, Droid, Blackberry, iPod touch, iPod nano and more. 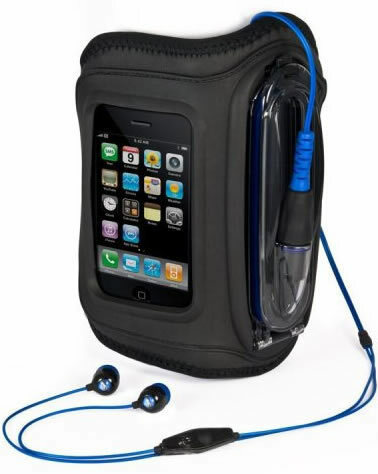 Compatible with H2O Audio Amphibx Armbands (iPhone) and Aquapac and Overboard Cases.